Adjusting the appliance too quickly can also cause jaw pain. If you are currently adjusting your appliance and find that the jaw is now sore, turn the appliance back to where it was comfortable. Keep track that you turn each side back equally. Call for an appointment with Dr. Claire to evaluate. Another common source of jaw pain comes from sleeping with the hand or arm under the head (even if the pillow is in between). This can push on the jaw and put undo pressure on the joint making it very sore in the morning. Adjust your sleeping position to have your arm out to the side and not under your head. Also ensure that the pillow itself is not putting pressure on the jaw. While getting accustomed to the appliance, the body has a natural tendency to clench and grind on the appliance. This can cause the muscles of the jaw to become sore or feel "tight" in the morning. Usually this improves after a few days of wearing the appliance. If it becomes a problem, massage is the best way to relieve the tension. To massage the muscles, take your right hand and place your thumb on the inside of your left cheek, starting as far up as you can. Spread out the four fingers on the outside of the cheek and squeeze and pull across the muscle. Do the same action of the right side using your left hand. It is best to massage the muscles before inserting the appliance at night and again in the morning after removing the appliance, but you can do this any time of day and as often as you wish. Initially using the appliance can cause an increase in saliva flow because it is something foreign in your mouth, however, as you become accustomed to the appliance, you may experience a dry mouth. It this become a problem, try placing a humidifier in your bedroom, up high and as close as possible to where you sleep. You can also try XyliMelts for dry mouth. These can be found at Walgreens or Walmart or ordered online from Amazon. Another solution for dry mouth is placing a sugar free cough drop in the inside of your cheek, on top of the upper appliance. You can leave it there all night and it will keep the saliva flowing. 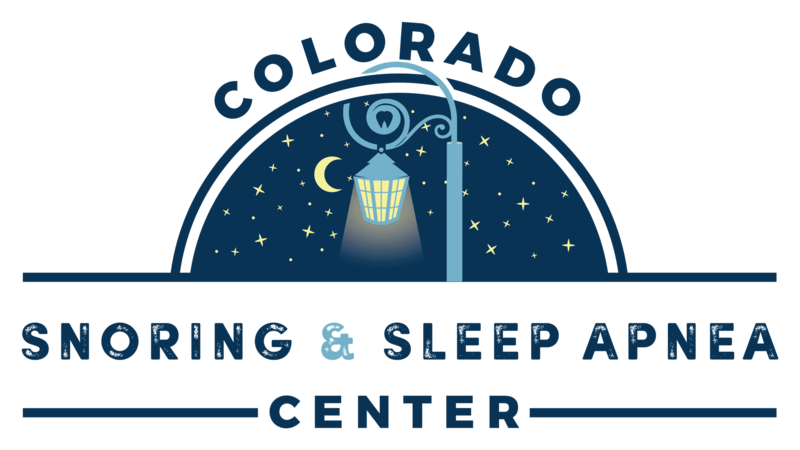 Many of our patients have difficulty falling asleep and/or staying asleep even while wearing their oral appliance, and they often turn to sleeping pills, which can have a negative affect on their sleep apnea. What many fail to consider, is that their sleeping environment can be what's interfering with sleeping soundly. Here are some tips to help you get a sound nights sleep. Light exposure during the night disrupts melatonin production and interferes with sleep. Melatonin is a hormone produced by the pineal gland and regulates the circadian rhythms of sleeping and waking, and it also influences daily fluctuations in your body temperature, sense of hunger, energy and mood. Research suggests that you don't have to see light to be affected by it. So, falling asleep with the TV or lights on definitely has a negative affect on your sleep. A low-watt night-light in an adjacent bathroom is acceptable, but when you are ready to go to sleep all other lights (and the TV) should be off and the shades should be drawn. Preferably, however, you should remove the TV from the bedroom altogether. If you want to sleep soundly, you need to keep your body temperature steady. If you get too hot or too cold you will wake up in the middle of the night and then you may have trouble falling back to sleep. With each person it varies as to what constitutes a comfortable temperature, so if needed, talk about this with others in the household to find a temperature that can meet everyone's needs. A pillow top mattress alone may not give you enough support to help keep your head, neck and spine in line. An easy way to get the extra support to keep your body comfortable, is to add a foam topper to your mattress. Try a 2 inch thick topper first and if that is not enough, add another 2 inches. We do not recommend the memory foam toppers as they tend to retain body heat which can make you too hot at night. Using a high quality pillow is also essential to help keep you comfortable at night. We recommend using a 3-6 oz down pillow. Usually the down pillows available at the store have too much down in them. You can make two pillows from one store bought pillow. If you are allergic to down, get an allergy free pillow cover. Exercise is an important daily routine, however, if you exercise too late in the evening it can affect your ability to go to sleep. Make sure that you schedule your exercise routine earlier in the day. Eating and drinking can also affect your ability to sleep. Avoid eating 2-3 hours prior to bedtime. Limit your caffeine intake to early in the day. Avoid drinking a big glass of water right before bed. It is best to avoid alcohol if you have sleep apnea, however, if you are going to have an alcoholic beverage drink it before or with dinner, not after. Many think that a drink right before bed will help them sleep better, but in reality, it has the opposite effect. Lastly, you shouldn't use your bed for anything except to sleep. You want your body to take the cue that "bed" equals "sleep". So if you like to watch TV or read just before bed, do so in another room, not while you're laying in bed. Questions about sleep apnea? Ready to get started with sleep apnea treatment? SCHEDULE YOUR CONSULTATION today!